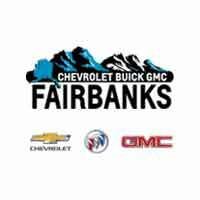 Located less than 30 minutes from Eielson Air Force Base, Chevrolet Buick GMC of Fairbanks has been serving the brave men and women of our armed forces since we first opened for business. We can’t begin to express our gratitude for their service, which is why we offer some of the best military discounts in the area. With these exclusive offers, servicepeople can save thousands on great models like the 2018 Chevrolet Silverado and the 2018 GMC Sierra 1500. In addition to these exclusive offers, Chevrolet Buick GMC of Fairbanks also offers one of the most diverse inventories of new vehicles and used vehicles in the city. So request a quote or call us at (907) 885-0345 today to learn more about the military discounts we offer for our neighbors at Eielson Air Force Base, or to learn more broadly about our dealership – just a short drive from North Pole, AK.